The teams of engineers are specialized in manufacturing highly efficient Hydraulic oil Coolers for broad industrial applications. The gamut of Oil Coolers we manufacture includes Air-cooled Hydraulic oil Cooler, Plate Type Oil Coolers, Special Purpose Oil Cooling Systems & Refrigerated type of oil chiller units. 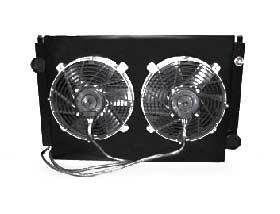 We Manufacture a qualitative range of Hydraulic oil Cooler obtainable in varied models and economical price. Mounting Holes 11 x 4Nos.